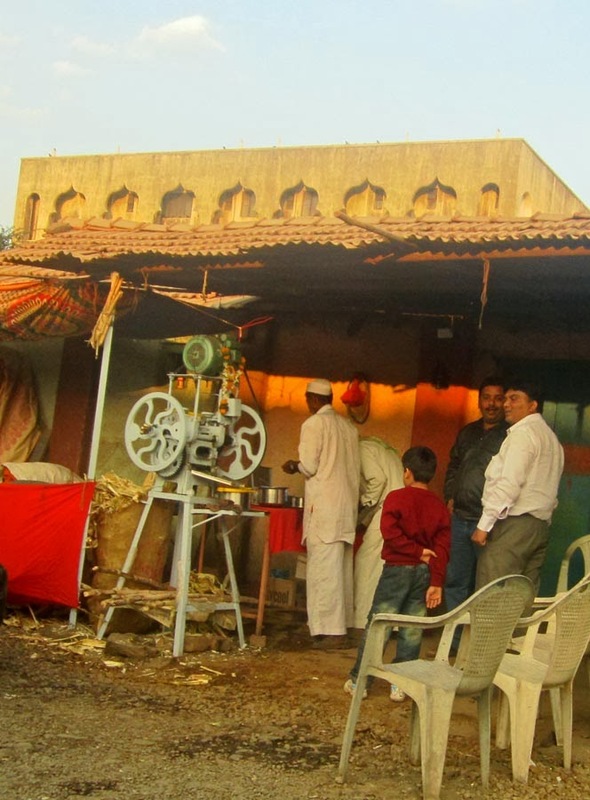 Photographs of sugarcane juice vendors. 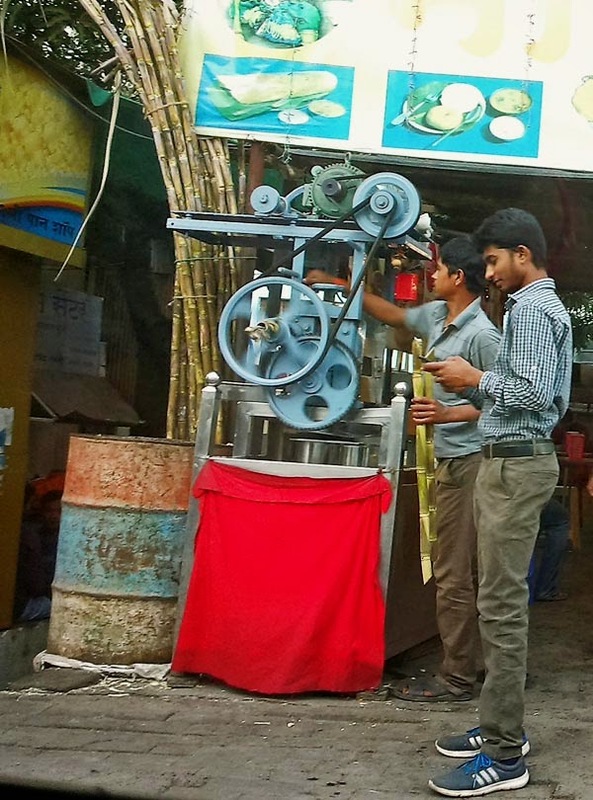 Fresh sugarcane juice is a popular juice in India and India is the second largest producer of sugarcane after Brazil. At one time this freshly squeezed juice was the most popular beverage on Indian streets, popular not just because of its nutritious value but also because of its low price. 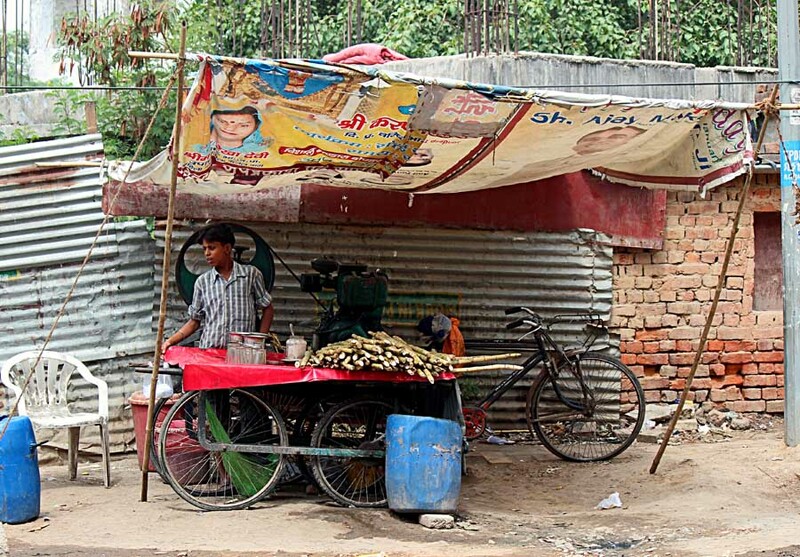 About a decade ago every street corner had a sugarcane juice stall but today these stalls have reduced in number. However you can still see them in plenty in the crowded inner city areas. This one is a shot from Goa and this boy vendor has a four-wheeled cart on which he has a machine which does the squeezing of the sugarcane juice. 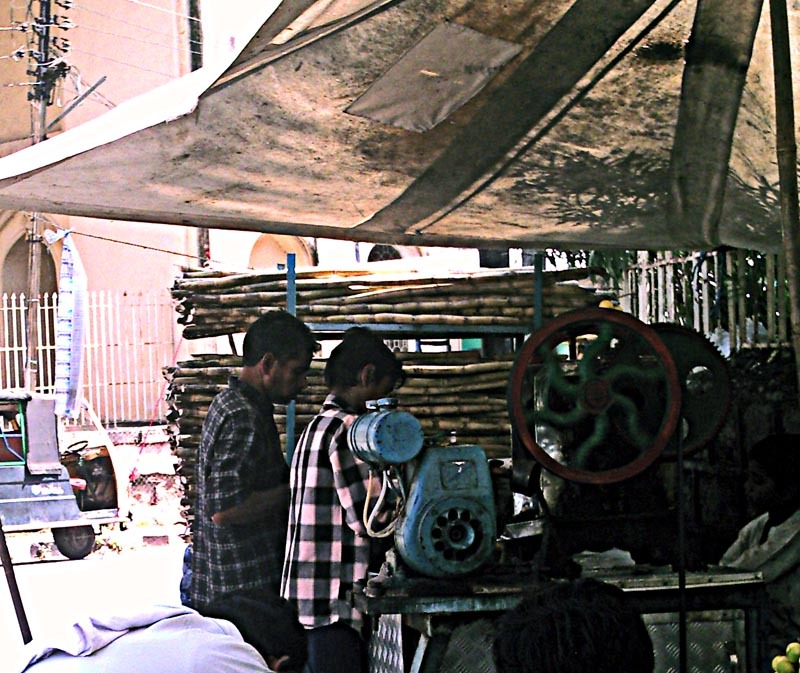 Long sticks of sugarcane can be seen on the cart alongwith the sugarcane juice vending machine. This juice is very sweet and has a low glycemic index and has 84 calories for every 100 gms of juice. No fat, no cholesterol and is rich. in anti-oxidants. A great source of energy as it is mostly carbohydrate. 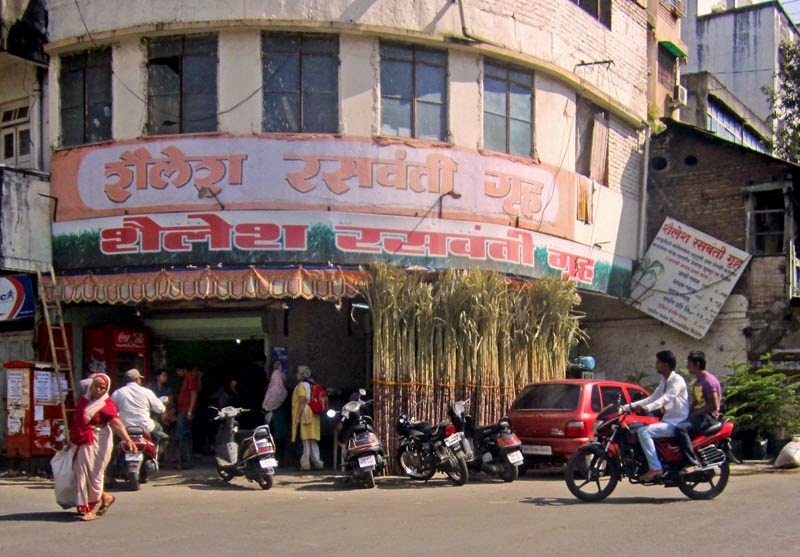 This shop in Pune sells sugar cane juice. 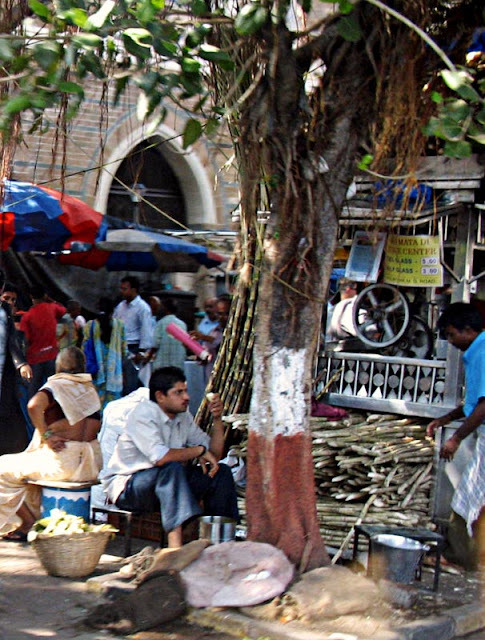 A sugarcane vendor in Kolkata. As can be seen here the juice is extracted manually. Sugarcane juice shop with customers waiting. This is on the outskirts of Pune city. However crowded the pavement, a sugarcane wala manages to squeeze inbetween people, vendors and trees! Stacks of sugarcane lie in his shop and this gives an idea of the high number of customers he gets every day. This photo is from Mumbai. A sugarcane juice stall outside a tourist spot in Hyderabad. Related Images: Another very popular street drink in India: Coconut water vendor in India or images of Sugarcane fields. Images filed under "Beverages" or "Food" or "Vendors" or "Occupations"